Your teenage son or daughter is driving a car. Simply thinking that or saying those words aloud might fill you with a little pride and a lot of worry. You think, or at least hope you impressed them with the gravity of the responsibilities involved with getting behind the wheel and the consequences of mistakes or lapses in attention for other drivers, pedestrians, their passengers, and themselves. You sent them to a solid prep program like a certified California Drivers Ed class. But they don’t know what they don’t know, and all you can do is hope they don’t fill in the gaps in their knowledge the hard way. You can picture it clearly; your son or daughter is late for something and driving a little faster than they probably should. Maybe they blow through a yellow light that’s really red. They approach another intersection in the distance when their phone buzzes and beeps, the face lighting up with the message, “Where are you? We’re about to leave. Hurry up.” Your child picks up the phone and tried to type the standard “OMW”, but they hit the wrong keys. They look down for three seconds to correct their text. At 45 miles per hour, the car travels over 200 feet. By the time they look up, there’s a crosswalk, an intersection, and a red light in front of them. There is no way the teen driver can possibly stop in time. What happens now? Do they hit a pedestrian? When you picture that, do you picture the carnage first, or the months and years in and out of jail and court for your child? Do they enter the intersection and get hit by another car? Or do they whiz right through the empty intersection, feel shook up for a while, but in the back of their mind think maybe they’ve been wrong to be so conservative and nothing bad will ever really happen to them? Did You Know There Are Apps to Help? All those scenarios are bad, though some are obviously worse than others. Fortunately, there are proven, effective measures to keep teenagers (or anyone, for that matter) from texting while driving. On the iPhone, iOS 11 and later has an embedded Do Not Disturb While Driving feature. This feature blocks incoming calls, messages, and stops notifications when the phone is traveling at driving speeds on a road. It will send an auto-reply or message to the sender if programmed to do so. If you’re a parent, you can set your child’s phone so this feature is impossible to turn off. This free feature embedded in the operating system is one of the best available, but many others are similar in functionality, albeit easier for a teenager to disable. Driving Detective, a free app for Android phones, is very effective, as are a host of other apps, most of them free. 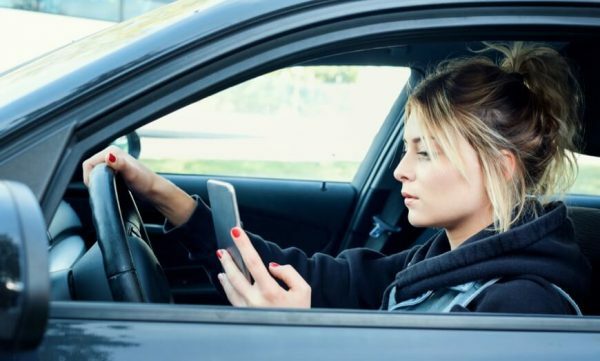 AT&T, Verizon, and most major cell phone carriers have or are developing similar driving apps that block some or all incoming transmissions. Apple’s software is still the only one that requires an outside password to disable, but most are effective. An innate sense of responsibility, a good head on a teenager’s shoulders, and a good driver’s education class are all important, but when temptation strikes, and other measures break down, the most effective way to make sure teenagers don’t text and drive is to make sure the phone itself is disabled while it’s in motion.